​hog industry actually contribute to a world health crisis? ​Editor's Note: This Canadian citizen-activist's article recently came to our attention and—in keeping with our commitment to share stories about the interconnectedness of UN SDGs—we decided to report and re-publish this alarm. ​Even as this health problem looms for each one of us—and for us, together, as a humanity—our editorial policy seeks to tell the stories of people finding solutions to problems. But, in this case, such stories of solutions are yet to be identified. happen next—so that enough concern is raised to identify and implement the solutions needed. We also note that this problem illustrates the inter-relatedness of many of the SDGs—shown above with SDG logos # 3 # 11 & # 15—while SDGs # 2 # 9 & # 12 point to the connectedness also needed to ultimately achieve the solutions. We welcome any suggestions to feature stories of such solutions in upcoming articles. 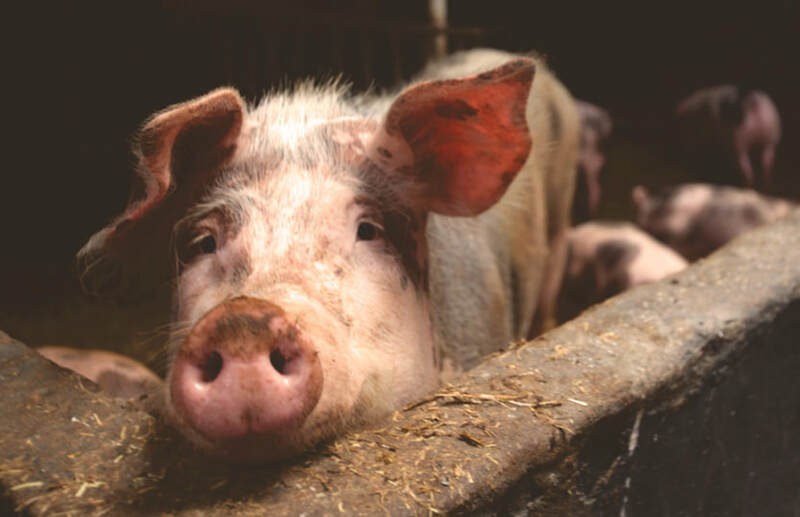 The Manitoba government has recently passed a Bill to make it easier (and cheaper) for pig producers to build new 'factory barns’, expand existing ones, store and dispose of the waste and even spend less on fire protection. What the Bill will not do is stop the dangerous overuse of antibiotics in animal agriculture. Live-stock owners around the world—including hog producers in Manitoba—have long been giving these medicines to their animals, whether to treat the sick, prevent the healthy from getting sick, or simply to fatten them up for market. ​This is all perfectly legal here and in many other countries. And, about three out of every four doses—given this way—are identical to the drugs you and I need to fend off deadly infections. AMRs are sometimes called “superbugs” which, because of this inappropriate use, have developed a resistance to treatment by most or all of the medicines available today. AMRs spread to humans who have either eaten pork, beef or chickens treated in a similar manner. ​So scenarios where doctors have to advise their patients that “There’s nothing more I can do for you," are, alarmingly, becoming more frequent. ​Meanwhile, three days before the Manitoba Bill was approved, the World Health Organization sounded its most urgent alarm yet over the administering of antibiotics to food animals. The WHO says things must change if we are to preserve the effectiveness of these life-saving medications. This UN agency advised farmers and the food industry everywhere, to simply stop giving animals such medications altogether, whether to promote growth or prevent disease. Healthy animals should only be treated if disease is diagnosed elsewhere in the same herd. And, even while treating animals already sick, only medications not considered critical for the treatment of human infections, should be used. But data from the Organization for Economic Cooperation & Development are even more alarming. 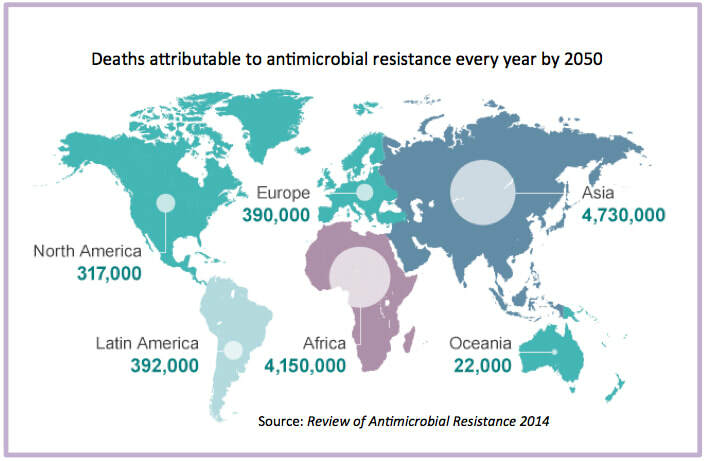 Representing 35 developed countries, it notes that AMR is “highly prevalent” in its member nations, including Canada. It estimates the yearly loss of life, worldwide, probably runs into the tens of thousands, already. But current rates of resistance are increasing to the point where ten million people a year could be dying in this way by 2050! ​This, the OECD notes, would "move the needle" on the human cost of AMRs, from “substantial” to “enormous.” While the bulk of the deaths would be in Africa and Asia. there could still be 317,000 in North America by that time. See, at the left, the graphic map from the World Economic Forum. Why, you ask, would economic organizations get involved in a health issue? Because, they expect future increases in health costs to also be enormous; almost $3 trillion by 2050, for OECD countries alone! That's because AMR patients are sick longer, need more (and costly) treatments, more tests and are three times more likely to die. With new 'factory barns' and more hogs now on Manitoba’s horizon, only pro-industry spin-doctors would dare to suggest that this won’t mean more antibiotics, as well. The OECD expects such usage to increase by a staggering two thirds by 2030. ​About the Author: Larry Powell is a veteran award-winning journalist based in Shoal Lake, Manitoba, on the Canadian prairies. 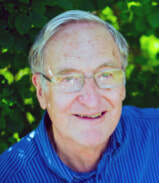 He specializes in stories about agriculture, science and the environment. For decades, he worked for broadcast outlets in western Canada, including five years as Senior Editor for CBC Radio News in Saskatchewan. In June, 2014, he was a featured panelist at a world conference in Winnipeg entitled ‘Holding Power to Account: Investigative Journalism, Democracy and Human Rights.’ Since retiring as a full-time employee in the late 1980s, he has been able to devote more time to his citizen-activism through deeply-researched articles about important issues of our time, such as climate change and industrial farming. He authors regular articles on his blog called PlanetInPeril.ca.